The Queensland government has already approved several major multi-billion dollar CSG projects worth more than $60 billion, all of which are focussed on converting the gas to export-friendly liquefied natural gas (LNG). More than 30,000 gas wells will be drilled in the state in the coming decades and the industry has estimated between 10 per cent and 40 per cent of the wells will undergo hydraulic fracturing. The industry and state and federal ministers have claimed that electricity derived from coal seam gas will help slow growth in carbon emissions but, so far, no comprehensive independent lifecycle assessment of emissions has been carried out. Last August, a Right to Information request submitted by me and reported in the Brisbane Times revealed that the state's government was prepared to rely on industry-funded research when it came to understanding the industry's carbon footprint. A later report from the Australian Petroleum Production and Exploration Association, which looked at emissions from CSG when burned for electricity in China, was produced by Worley Parsons, a company which had won a $580 million contract to work on a major CSG-to-LNG project in the state. The Federal Energy Minister Martin Ferguson has also waved away suggestions that the government should commission its own independent research into CSG emissions, and was reported as saying such a study was "unnecessary". The work at Southern Cross University is arguably the first attempt to independently measure levels of methane coming from gasfield areas. The current discussions on CSG are often based on anecdotal evidence, old observations not designed to assess CSG or data obtained overseas. We believe universities are independent institutions that should provide hard data to inform this discussion. The lack of site-specific baseline data is staggering. In an interview with the Australian Broadcasting Corporation, Dr Maher said while it was not possible yet to say "definitively" that the raised levels of methane were due to leaks from the CSG facilities, "we have multiple lines of evidence to suggest that that is what is causing it". He said the initial findings pointed to the CSG operations as a likely source of the raised methane levels - in particular, from fugitive emissions. Essentially these are leaks. It is where CSG that was in the coal seam leaks into the atmosphere. That can leak through the infrastructure - the well head, through pipes - and the industry knows about these leaks and they are relatively easy to deal with. What we are looking at is the potential for that methane to migrate through the soil structure. The Australian Petroleum Production and Exploration Association, which represents the CSG industry, said in a press release the research was premature and appeared to deliberately target the CSG industry. Spokesman Rick Wilkinson personally attacked the scientists, saying their findings "diminishes the good work by many other scientists". But the response from the association's spokesman Rick Wilkinson contained several misrepresentations. 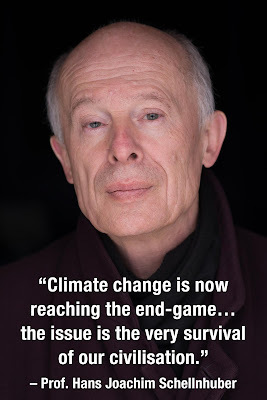 Wilkinson claimed the research was "notable through omission rather than content" because, he said, it seemed "squarely aimed at natural gas production rather than all sources of actual and potential greenhouse gas emissions". Yet when the researchers presented their ongoing findings to a public lecture, it was clear that the two academics had gone out of their way - quite literally - to record levels of methane in other areas. They took their cavity ring-down spectrometer to other obvious sources of methane, including a sewage works, drove alongside fields of high-density cattle and visited wetlands. While methane levels in those areas did not get above 2.1 parts per million, in the CSG gasfield area the highest reading was 6.89 ppm. Methane is about 23 times more powerful as a greenhouse gas than carbon dioxide. The researchers took in gasfields in Tara, the birthplace of the widespread Lock the Gate anti-CSG movement. 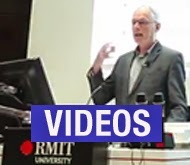 At the public forum, uploaded to YouTube, Dr Maher said: "The concentration of methane in the atmosphere [at the gasfields] is consistently higher than what we saw at the highest value in the local area. The highest concentrations were over three times the atmosphere's background values." In the submission to the Federal Government's Department of Climate Change, the researchers wrote: Our results demonstrate the need for baseline studies before the development of gas fields. We suspect that depressurisation (fracking, groundwater pumping) of the coal seams during gas extraction changes the soil structure (i.e., cracks, fissures) that enhance the release of greenhouse gases such as methane and carbon dioxide. Speaking to DeSmogBlog, the researchers explained the spectrometer is also able to identify the chemical fingerprints in the methane gas that can distinguish between methane from sources such as cows and wetlands, and methane from ancient fossil fuel hydrocarbons, such as coal seam gas. The researchers dismissed Wilkinson's claim that their submission was a plea for funding. Dr Santos said: "We are just simply sharing our data. It is clearly preliminary research." In the APPEA press release, Wilkinson also claimed that a "similar" US study using a "drive-by measurement technology" had been criticised "by a respected Cornell University scientist for its lack of rigour". But the criticism which Wilkinson cited in the press release referred not to "drive-by measurement technology" or to the gas industry, but rather to criticisms of measurements taken at a stationary observation tower close to oil wells. Typically in Australia we assume a figure of 0.12 per cent leakage at the wellhead of total gas production but we don’t have any data backing up that assumption. Some studies overseas indicate that lifecycle fugitive emissions may be up to eight per cent. 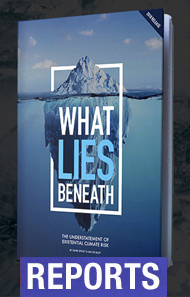 While the figure of eight per cent has come under fire by some academics and the CSG industry, the lack of baseline data makes it extremely difficult to put an exact number on mining-specific emissions after mining has commenced. We don’t know what fugitive emissions are coming from Australian CSG mining. We need to do site specific experiments to quantify those emissions for every gas field. I believe this is crucial research which should have been part of the environmental assessment process and ongoing monitoring. The fact that there is no pre-CSG data on methane levels in air means these researchers have had to do some cross-checking of possible explanations, such as methane from cows or wetlands, and it seems to me they have been very careful in ensuring that the only realistic explanation for the considerable methane levels they measured is CSG field leakage. At present, there is considerable more work to do to understand the processes causing this degree of leakage – it could be caused by leaking bores or pipelines, or just be diffuse leakage from the geology due to lower groundwater pressures - and especially to quantify diffuse emissions on a life cycle basis for CSG production, but I certainly view this research as a great breakthrough in documenting the real processes occurring in CSG fields.